CLEARFIELD – The Clearfield school board held its reorganizational meeting Monday night. The board nominated and approved for Larry Putt and Susan Mikesell to serve as president and vice president, respectively. In addition, the board approved the Beard Legal Group to serve as its solicitor. Kayla Caragein was approved as its secretary. Board member Phil Carr was approved to represent the board on the Joint Operating Committee (JOC) at the Clearfield County Career & Technology Center (CCCTC). Board member Shawna Rothrock was approved to continue to serve as the board’s representative on the Central Intermediate Unit (CIU) No. 10 board. In other business, the board approved its 2019 meeting schedule. All meetings are scheduled for 6 p.m. at the Clearfield Area Junior-Senior High School library. Work sessions will be held: Jan. 21, Feb. 18, March 18, April 15, June 17, Aug. 19, Sept. 16, Oct. 21 and Nov. 18. Regular voting meetings will be held: Jan. 28, Feb. 25, March 25, April 22, June 24, Aug. 26, Sept. 23, Oct. 28 and Nov. 25. Combined work session and voting meetings will be held on May 20 and July 22. The board will reorganize on Dec. 2, 2019. It was noted that all meetings can be used as voting meetings, if necessary. 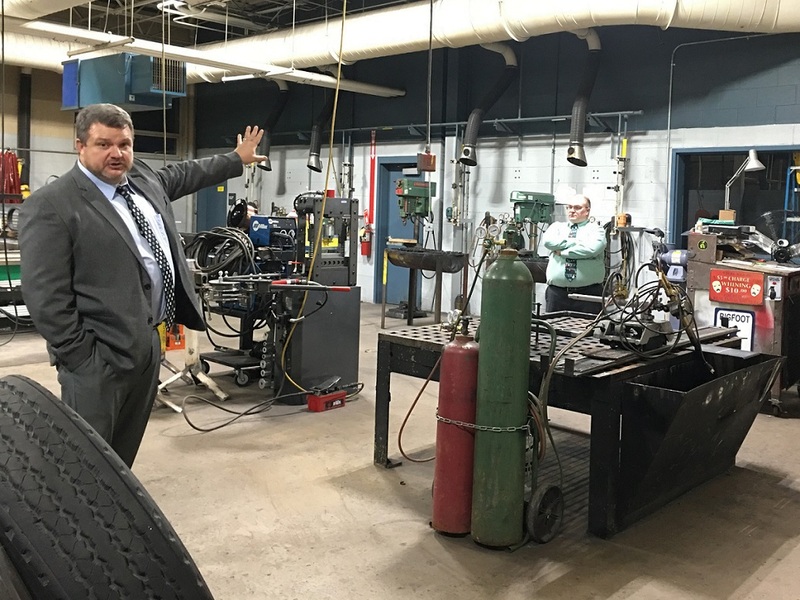 The board held its reorganizational meeting at the CCCTC and received a tour of its various programs courtesy of Executive Director Fred Redden and Principal Matt Kephart.